My friend’s son is obsessed with all things Mario. 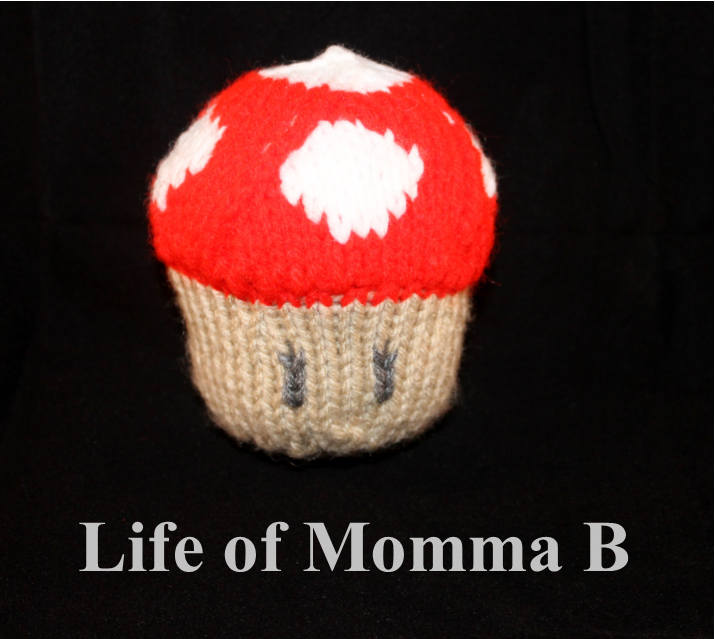 She asked me to knit up this cute mushroom for him. Since I am always looking for something to knit, I quickly jumped at the chance. This free pattern was written by Emily Miller and was found on Ravelry. I used an assortment of Red Heart yarn from my stash and size 3 needles. If you have been following my blog, you know that I have knitted many projects. This is the worst pattern I have ever seen. Unlike most patterns, it is written in paragraph form making it hard to follow. The pattern is also a bit ambiguous in regards to the placement of the eyes and the spots. I had to read the pattern through multiple times in order to understand it. I don’t think I will be making any more of these. On the plus side my friend and her son loved it. So long story short – If you have a Mario fan it is worth the effort. But, I would not make it unless asked. This entry was posted in Knitting and tagged Amigurumi, color work, free pattern, stash buster, toy. Bookmark the permalink.